Development of the high performance computers (HPC) has made possible conducting numerical simulation of fluid flow of practical interest. Turbulent separated bluff body flows are of great importance for the CFD community. Many turbulence models are developed to properly capture, with some success, the mechanisms found in the flow separation behind a bluff body. 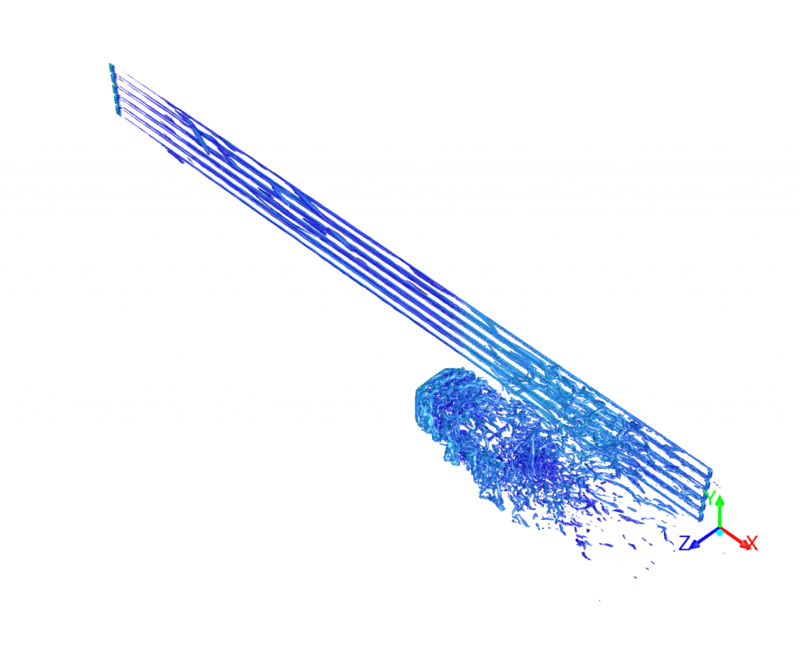 This project aims in testing the ability of the current turbulence models found in the open source CFD (OpenFOAM) for high Reynolds number flows. Unsteady Reynolds Navier-Stokes (URANS) approach will be used for modelling the turbulent separated flows. The work will be done using the HPC resources offered at ULFS. Also, visualization of the results will be carried using ParaView. Results will be accessible as a report and the data will be visualized and presented with figures and videos. If time allows, new/improved turbulence model could be developed.